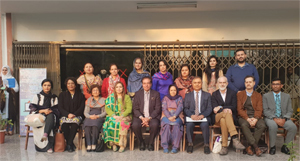 Institute of Applied Psychology, Punjab University has organized an International Conference of Applied Psychology; Practices and Interventions (ICAP-2019) from 6th to 8th February 2019. The last day of the conference began with the address of Prof. Dr. Najma Najam, Prof. Emeritus, Institute of Applied Psychology on Coming of Age in Turbulent Times: Pakistani Psychology at cross Roads. A symposium on Organizational Psychology was conducted by Dr. Muhammad Imran Qureshi followed by Seven scientific sessions on various psychological themes. Condolence reference presided over by Prof. Dr. Rafia Hassan for Prof. Dr. Akhtar Ahsen. The Chief Guest of the concluding ceremony, honorable Mr. Riaz Fatyana, member of the provincial assembly, appreciated the efforts of the Institute of Applied Psychology in the promotion of psychological issues at stake and motivated to continue the professionals to serve the general public. 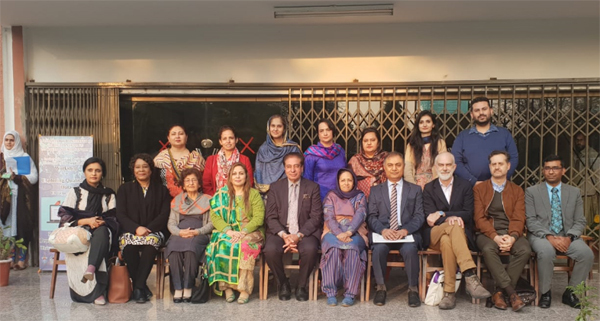 The Dean of Live sciences, Prof. Dr. Firdaus-e-Bareen acknowledged the Director and the faculty members of Institute of Applied psychology for their work and the remarkable conference. The Organizing Secretary, Dr. Mujeeba Ashraf thanked the faculty members and the participants for all their efforts in making this conference a success. The Director/ Chief Organizer, Prof. Dr. Farah Malik expressed gratitude to all the guests for taking out time and coming from around the globe. In the end, souvenirs were presented to our guests and shields were distributed among the participants. The conference was attended by a large number of academics, researchers and practitioners from around the globe to share joint knowledge of practices and interventions parallel to conference theme; Interpersonal Acceptance and Rejection, Forensic Psychology, Social Psychology, Political Psychology, Positive Psychology and Health Psychology. These academic activities will enhance the horizons of postgraduate, MPhil and PhD students and other participants including academicians, lectures and early career scholars.